Sunnyvale isn't only a mirror, it is a work of art. It features a round, pleated frame. 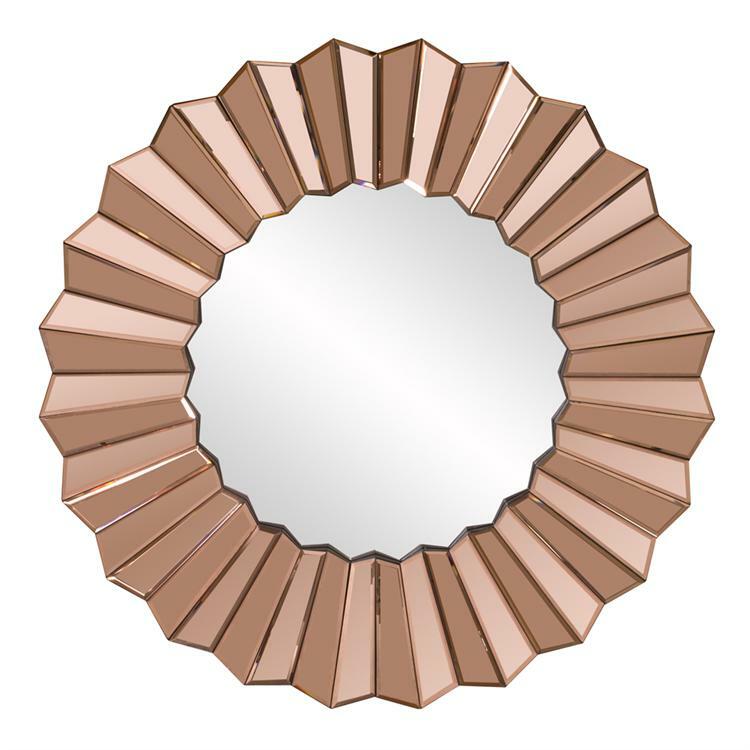 The frame is composed of mirrored bars in the most gorgeous rose gold glass. This piece casts a dazzling display of light and reflections. It is a perfect focal point for any design. Customizable for larger orders.